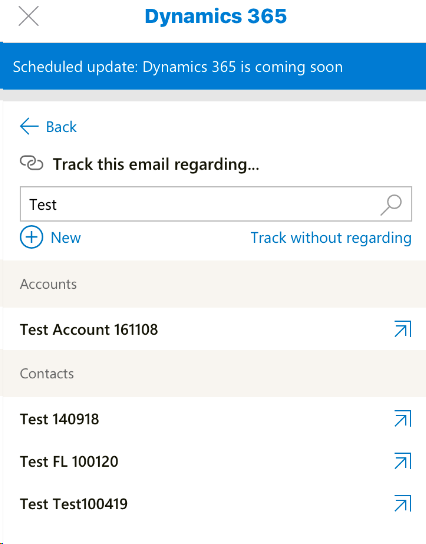 The latest Microsoft Dynamics 365 App for Outlook (from the December 2016 CRM Update, v8.2x) works pretty well. 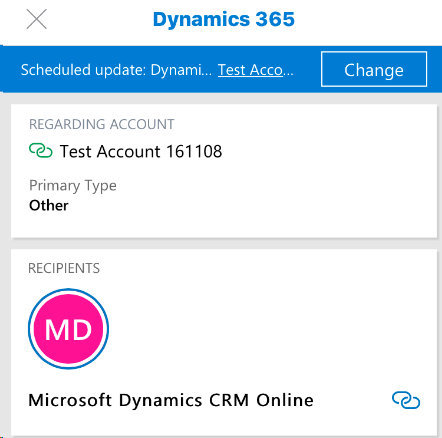 It even integrates with the latest Microsoft Outlook App for iPad/iPhone (via the new Dynamics 365 Add-in) – to help track emails and interact with Dynamics 365 (CRM) records. Now that is an awesome mobile solution! To ensure that you are running the latest version – navigate to the Office 365 Outlook settings “Manage add-ins” section and then check that Dynamics 365 add-in is Version 8.2.0.0 or higher. 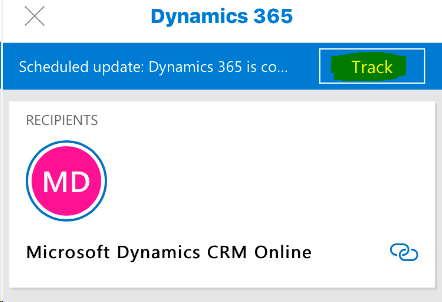 Install the Microsoft Dynamics 365 for phones or for iPad from App Store. Link to User’s Guide. Note: Currently even with the latest IOS 10.x there is no supported option to change the iPad/iPhone’s default Mail App so that clicking on any mail hyperlinks can open the Outlook App instead. However – there is this unsupported IOS jailbreak option to change the default Mail App to Outlook App that you can check out (not recommended for production use). I now use less and less of my laptop or tablet PC for my CRM tasks. Also, I’ve been using the latest Outlook App since it was released a few weeks ago. The default iPhone Mail app is still there as a back up if I ever needed (which is hardly these days). The latest Outlook App for IOS works very well for all my Email/Calendar/Contact needs. So my experience so far is that Dynamics 365 and Outlook Apps on my iPhone just works! And it is an ALL OUT OF THE BOX solution. 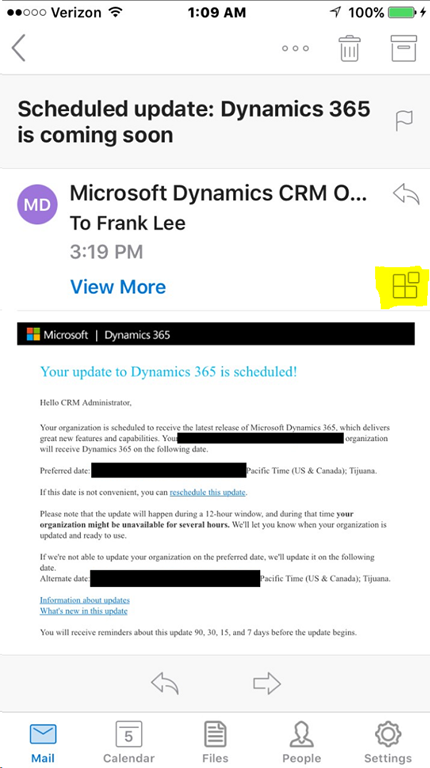 This entry was posted in CRM On Premise, CRM Online, Dynamics 365, Dynamics 365 Outlook App, iOS, iPad, iPhone, Microsoft CRM, Microsoft CRM Mobile, Microsoft Dynamics CRM, Microsoft Outlook App, Mobile, MS CRM, Office 365 and tagged Calendar, Contact, Dynamics 365 CRM Outlook App, Email, iOS, iPad, iPhone, Mobile. Bookmark the permalink. 7 Responses to Dynamics 365 App for Outlook together with Outlook App for iPad/iPhone is Awesome! The current release of Microsoft Outlook App for iPad/iPhone v2.20.0 is causing issue with the Dynamics 365 Addin recipients area – keep spinning without timeout or resolving any CRM records. v2.18.0 works OK. Per support – Microsoft Outlook App team is aware of the issue. v2.21.1 resolves this issue. Yay! does this work for tracking calendar items to CRM as well? Thanks for the detailed post. Sadly, I have both mobile apps installed and up-to-date on my iphone x and I don’t have the Dynamics app available as an Add-in on my Outlook app. Any ideas? Thanks for the quick reply! I will get on that.